The Horseshoe Falls - A canal boat holidays attraction. 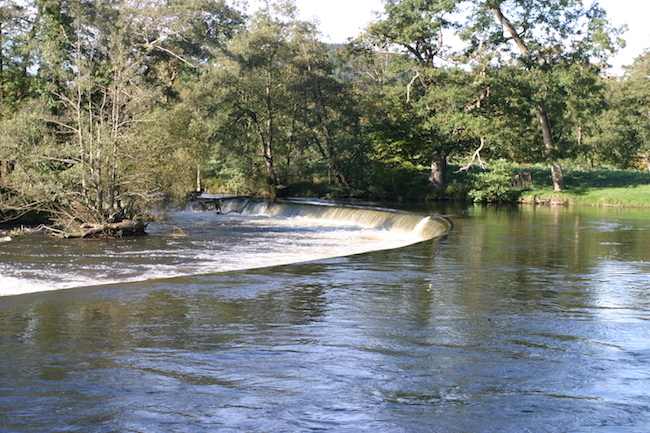 The weir is about 460 feet (140m long) and helps create a pool of water which then feeds the Llangollen canal. You can visit the Horseshoe falls when you are moored in the Llangollen Basin. You cannot cruise directly there by canal boat. Since 2009 the weir is also part of the World Heritage site which covers 11 miles of the Llangollen canal. The site was awarded World Heritage status because of the bold civil engineering solutions needed to construct the canal with no locks through such difficult terrain.